IMPORTANT NOTE: To ensure all Effigy purchases are shipped and received before the start of the Carnival, online sale of the Effigy is now over. Please acquire your Effigy in participating Couche-Tard locations of the greater Quebec City area or at the entrance of the Carnival sites between February 8 and 17, 2019. The Effigy is required to access the Loto-Québec Zone, including Loto-Québec Royal Court, and to Jos’ Camp presented by Videotron. 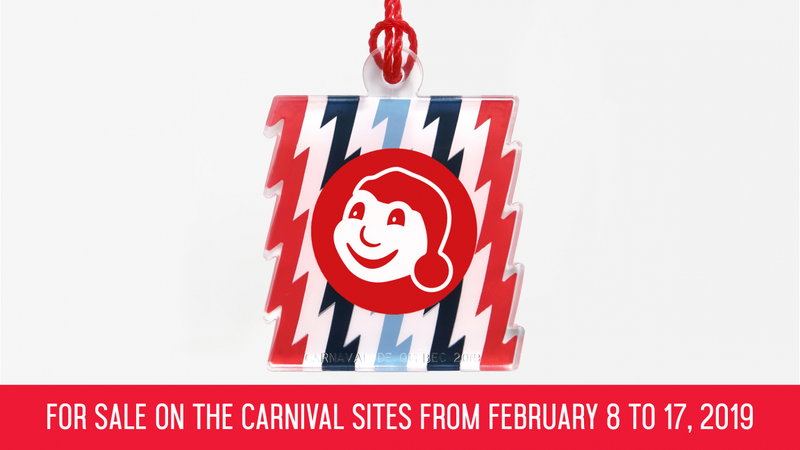 Each year, a new Effigy to the likeness of Bonhomme Carnaval is created to be worn as a pendant on your coat throughout the event. The Effigy is made and packaged in Quebec. Children aged 7 or younger may access all sites free of charge, with or without an Effigy.